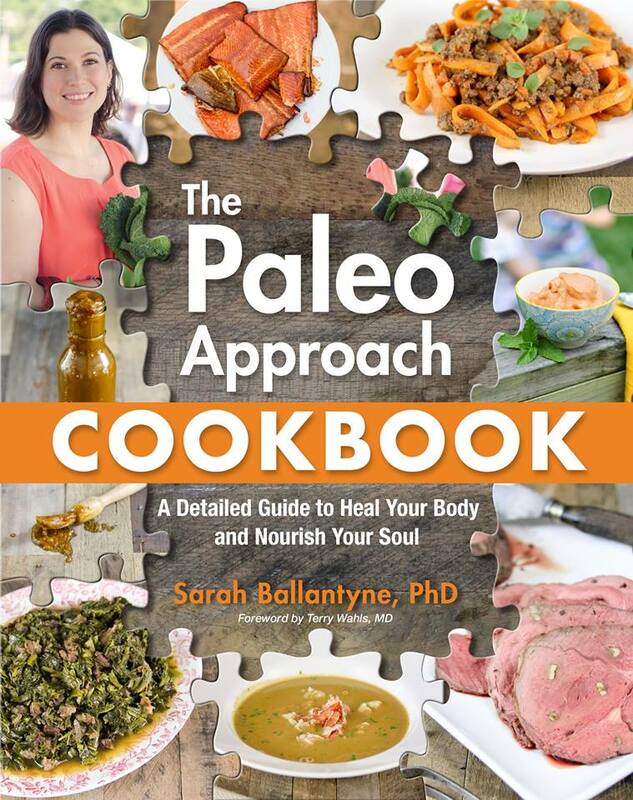 If you follow Sarah Ballantyne (aka The Paleo Mom), you know she never does anything halfway. 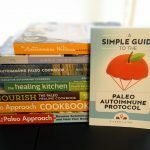 Her first book, The Paleo Approach, is an encyclopedic guide to reversing autoimmune disease. This cookbook is the much-anticipated companion, and it contains over 200 autoimmune-friendly recipes. She will be the first to tell you that she writes BIG BOOKS! And they're beautiful. 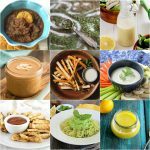 Over 200 AIP-friendly recipes: kitchen staples, breakfasts, appetizers, salads, snacks, soups/stews, meat/poultry, fish/shellfish, offal (organ meats), side dishes, sweet treats, and beverages. A cool recipe format: In addition to photos and detailed instructions, every recipe contains preparation time, recipe tips, creative variations, and also detailed nutrition facts, telling not just the macros (calories, fat, carb, protein) but the vitamin and mineral content of the meal as well. 6 weeks of meal plans with shopping lists: Designed for two people, they can be halved or doubled. 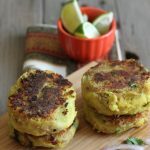 The time-consuming recipes are scheduled for the weekends, and some of the weekday recipes incorporate leftovers to save time. Each meal plan is nutrient-dense, incorporating all of Sarah's recommendations for seafood, offal and a wide variety of veggies, while still including some good old-fashioned comfort food. Food Lists: The resource section contains a ten-page “A to Z” food list, called “Yes No Maybe So.” It's a detailed checklist for the foods you can and can't eat on the AIP. The “maybe” column contains grassfed ghee, egg yolks, fresh legumes (green beans and peas), fruitbased spices, seedbased spices, and seed/nut oils. These foods are eliminated initially on the AIP, but are considered Stage One Reintroductions, which are the foods most easily tolerated and recommended as the first to reintroduce. Low-FODMAP resources: People diagnosed with small intestine bacterial overgrowth (SIBO) often need to follow a Low-FODMAP diet temporarily. Sarah has included FODMAP alerts on every recipe, with modifications if applicable. Also, two of the weekly meal plans are Low-FODMAP. Cooking Guides: The beginning of the cookbook is full of helpful charts like meat cuts and cooking times, measurement conversions, grilling tips, oil smoke points, and alcohol burn-off times. It's information helpful to any cook, paleo or not. A Recipe Top Ten: Sarah and I are both firm believers in getting nutrition through food, not supplements, whenever possible. She's created an appendix in the resource section that shows which recipes have the highest concentration of which vitamins and minerals, so you can actively choose the ones you need. Substitution Charts: Many common foods aren't allowed on the AIP, and new cooks can feel at a loss, without their familiar ingredients. Sarah tells you which AIP foods are good substitutions for flour, butter, tomatoes, pasta, bread, crackers, and more. 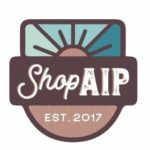 Quick Description of the Why's behind the AIP: An awesome two-page summary that efficiently describes how the AIP works: through nutrient density, gut health, hormone regulation and immune health. It's basically the cliff notes for her first book: The Paleo Approach. 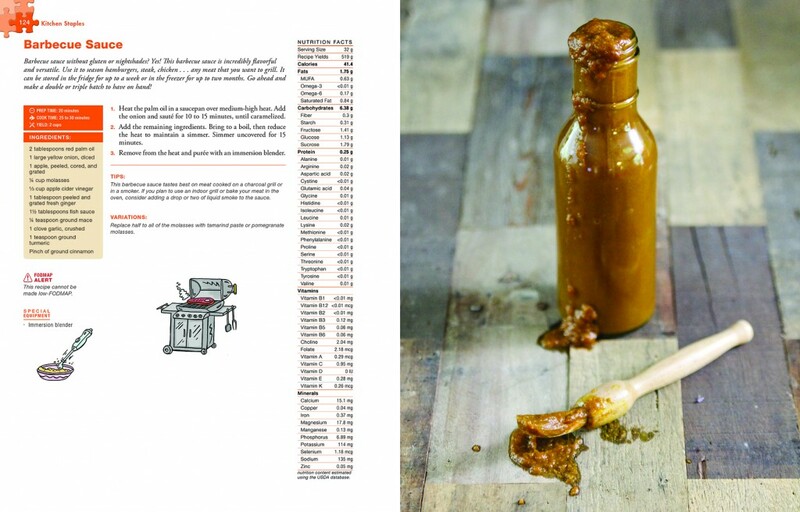 A Picture Recipe Index: How cool is that? Ready for a recipe? Last year, Sarah asked if I would like to test some recipes for her book. Yes, please! My favorite was this barbecue sauce, which I used on a rack of babyback ribs. Let me tell you now – it's gooooood! She's graciously agreed to let me share it with you! The winner was chosen with a random number generator on 8/15/2014. Congratulations to Heidi! If you didn't win, don't despair. The book is reasonably priced and worth every penny. You can purchase a copy here. It's become a tradition on my blog to host giveaways of my favorite books. Entering to win is easy. Either “like” my page on Facebook or subscribe to my blog by email. When you’ve done that, simply leave a comment below, letting me know which one you’ve done. I've decided to open this giveaway up to the whole world, so even if you live outside the U.S., you're welcome to enter. The winner will be randomly chosen on August 15, 2014. That's 11 days before the book is available in stores! Good luck!